Cost to install weatherstripping varies greatly by region (and even by zip code). Get free estimates from window treatment specialists in your city. Cost to install weatherstripping varies greatly by region (and even by zip code). The cost of weatherstripping a home is $168. How much does it cost to install weatherstripping? A poor air seal around your windows and doors could be losing you as much as 20% of the energy you use to heat and cool your home according to Energy Star. This poor air seal can be caused by swelling or shrinking of frames creating openings, or simply by a door or window not being sized perfectly to your home. One of the most recommended and effective ways to stopping an air gap is to weatherstrip your home, or to apply a type of foam, rubber, or metal material around the gaps in your windows and doors, as well as in areas such as your attic to stop the transfer of air in and out of your home. Weatherstripping your home is easy, and many people choose to take on the project themselves, while others may hire a handyman to take care of the job for them. The average cost of weatherstripping a home is around $168 using a variety of materials to fill the relevant areas all over your home. If you suspect that your home will benefit from weatherstripping, it probably will. Feeling cold air or drafts near windows and doors is an indication of a poor air seal that could be improved with the use of weatherstripping. Energy Star makes a DIY guide to air sealing your home that includes additional steps you can take to determine whether or not an area of your home could be sealed. They recommend starting in either the attic or basement and working your way through your whole home. However, even the most thorough search by a homeowner often misses places. Therefore, it is recommended that you have a professional check your home, to determine how much weatherstripping should be done. Choose a weatherstripping based on the material your door or window is made of. Choose a weatherstripping based on the area of the door or window you are treating. Consider the cost vs. longevity. For example, felt is the least expensive type of stripping, but it only lasts two years, while silicone can last up to 10 for only a few dollars more. Ask your installer to purchase the materials for you, while there is a higher cost associated with this, around $235 total, it relieves you of the burden of choosing the right materials for each area of your home. In addition to the various applications for weatherstripping, most materials also have several pros and cons that can help you determine which one will be right for your project. There are several areas in and around your home that may require weatherstripping, and each of these areas may require a different type of material or seal depending on what it’s made of, and how big the gap is. For example, a poorly hung door with a wide gap at its top edge will require a heavier, more substantial weatherstripping than a window with a thin gap around its edge. Most weatherstripping is sold by the roll or by the piece, depending on what it is and where it’s needed. Your installer can help you determine how much you need of each material based on the size of each area. In addition to the location of the area you need to weatherstrip, the type of door or window may play a role as well. For example, sliding windows 3 will need V-stripping or tension stripping, while window sashes can use felt or foam. In most cases, weatherstripping can be interchangeable between different areas. However, there are a few types of doors and windows that need a specific type of weatherstrip to do the job. The process of weatherstripping doors and windows are relatively alike. In most cases, the material is cut to fit the opening it is being applied to. 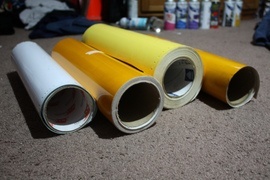 Any adhesive backs are removed and the material pressed into place. Nails are then used to help adhere the material if necessary. Most handymen can take this job on, with an average cost of $153 for the labor; weatherstripping material itself is very low cost, making the labor the bulk of the expense. The best way to determine what parts of your home need to be sealed is to have an energy audit done. Most energy companies, including your electric company, perform this service for free. In other cases, there may be a charge up to $150, which is applied toward any improvements you make later on. An energy audit looks at all the ways your home may be losing energy, including poor air seal, using thermal imaging tools to show you the hot and cold spots in your home. Getting an energy audit done first can help you determine if you need to weatherstrip, if you need more than weatherstripping, or if your home is already well sealed. According to Energy Star, weatherstripping alone can reduce your heating and cooling bills by 20%, while at the same time reducing drafts that can make you uncomfortable. To figure out the amount of weatherstripping you need, measure the perimeters of your windows and doors inches and add them up. Add 10% extra for waste and error and round up to the nearest roll size. Weatherstripping types range from simple to difficult to install; check the guidelines on each type as you purchase to avoid confusion. Apply the stripping to clean, dry surfaces in temperatures above 20ºF. Measure twice before cutting your stripping to get the best fit. 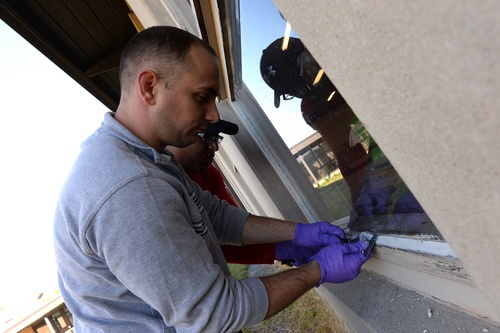 Inspect your weatherstripping and caulking 2 each year prior to winter to make sure they are in good condition. Have caulking 2 applied to any outside gaps when you weatherstrip to get the best seal. Silicone outdoor caulk 2 costs around $20 a tube, and most handymen can apply it for an additional charge of $50. Many types of weatherstripping can be applied DIY; check the instructions before you begin to see if the type you are using qualifies. What is a weather strip? Weatherstripping is a material that fills the gap around windows and doors to create a tight seal. How do you weatherstrip a door? The simplest way to weatherstrip a door is to apply cellular foam tape around the perimeter and nail a door sweep to the base. A door sweep is a rubber flange that is attached to the bottom of the door to stop drafts from coming in below the door’s edge. What is the kerf of a door? A kerf is a thin cut in the base of the door frame to allow the weatherstripping fin to be inserted. How do you replace weather stripping on a door? Loosen and remove the nails holding the stripping in place. Peel off the old weatherstripping and wash the frame to remove the old adhesive. 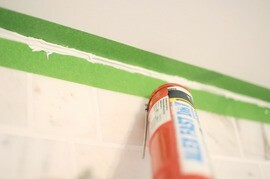 Let the frame dry, then apply the new adhesive tape and nail it into place. How much is weather stripping? A roll of weatherstripping is usually less than $10. Having your windows and doors professionally weatherstripped costs around $168. How much does it cost to install weatherstripping in my city? Cost to install weatherstripping varies greatly by region (and even by zip code). To get free estimates from local contractors, please indicate yours.